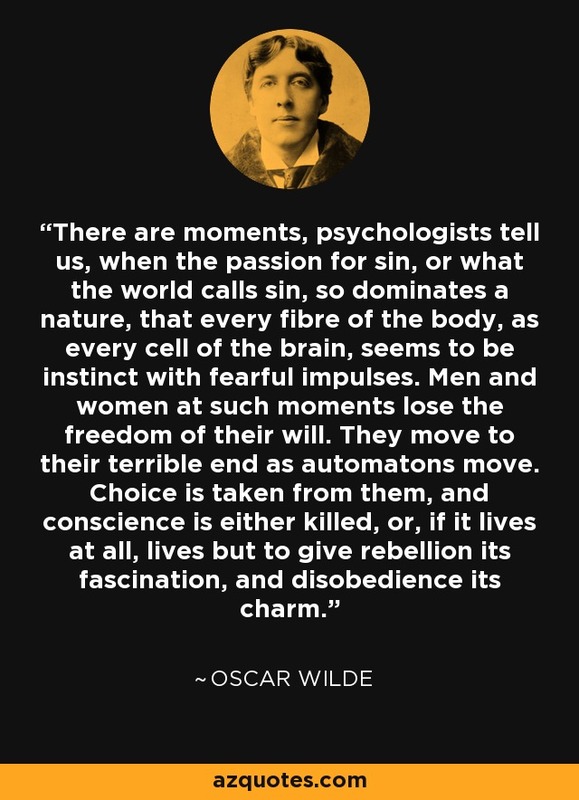 There are moments, psychologists tell us, when the passion for sin, or what the world calls sin, so dominates a nature, that every fibre of the body, as every cell of the brain, seems to be instinct with fearful impulses. Men and women at such moments lose the freedom of their will. They move to their terrible end as automatons move. Choice is taken from them, and conscience is either killed, or, if it lives at all, lives but to give rebellion its fascination, and disobedience its charm.